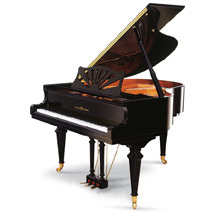 The SCHULZE POLLMANN Grand Piano Masterpiece Line represents the perfect union amongst handcrafted experience, elegance, high technology and tradition. Every single step of the entire production process is accurately followed out, from the manufacture to the final testing, to guarantee unquestionable high level performance referring both to mechanics and acoustics. 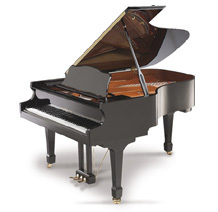 In every environment, from concert halls to open spaces, from academies of music to private houses, playing a SCHULZE POLLMANN Grand Piano becomes an unforgettable experience. 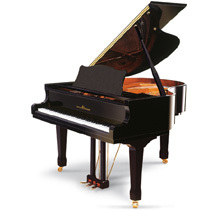 The SCHULZE POLLMANN Grand Pianos Masterpiece Line represents the perfect union amongst handcrafted experience, elegance, high technology and tradition. Every single step of the entire production process is accurately followed out, from the manufacture to the final testing, to guarantee unquestionable high level performance referring both to mechanics and acoustics. In every environment, from concert halls to open spaces, from academies of music to private houses, playing a SCHULZE POLLMANN Grand Piano becomes an unforgettable experience. In 2005 FERRARI has contacted SCHULZE POLLMANN asking for a special cooperation in order to obtain a red piano, matching the colour of their racing cars; this piano would have been used as a testimonial of Italian craftsmanship for the presentation of the Ferrari Scaglietti 612 at their most prestigious dealerships around the world. 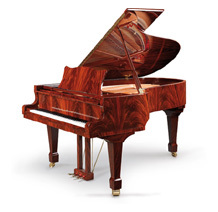 Our technical experts in painting and our master carpenters have done their utmost to reproduce on wooden surface the same aesthetical result requested by Ferrari, which, until then, had been obtained only on metal or plastic surfaces. The results were excellent and Ferrari has decided to use this prestigious instrument also for the presentations in the farthest countries, such as California. 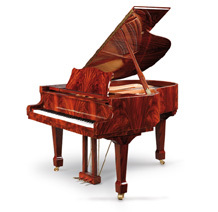 The 197 G5 “Rosso Formula” was developed from this experience and is now produced upon request in a limited edition. 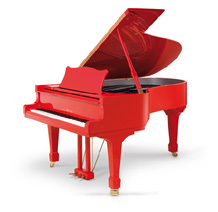 In addition to the red colour, which is warm and shining, this piano offers other aesthetical features that are unique: the matching bench in style and colour (with velvety leather red top), iron cast painted in carbon-gray colour (like the racing car engines), the inner side of the rim in metal gray colour like the rims of these extraordinary cars. 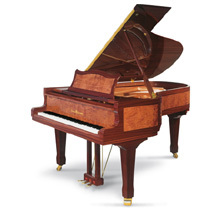 The grand pianos of the Studio line are designed to offer their best, placing themselves in a range of instruments that represent a valuable alternative to the prestigious Schulze Pollmann Masterpiece line. The Studio grands come in classic shapes and sizes and offer a well balanced sound, both regarding the tone, the dynamic and volume, that is particularly suitable for small/mid size concert halls and for recording studios.